At Tikona Infinet Private Limited, we offer the customers a valued proposition for varied managed connectivity needs. Tikona Infinet Private Limited VPNs offer the manageability, expandability, scalability and flexibility required by today's networked business enterprises. Information technology is constantly evolving. CIO’s and IT heads constantly face the challenge of keeping their office IT systems in sync with the latest technology developments. Tikona Enterprise Solutions recognises the importance of internet technology and its applications in businesses today. The company has introduced a portfolio of services that can make your office a hi-tech workplace and improve productivity while reducing costs. Enterprise networking has become a lifeline for Enterprises in the digital economy. In today's business environment, enterprises are constantly evolving and so are enterprise applications that have led to a surge of wide array of application traffic in enterprise networks. Managing the ever expanding network and more than anything else aligning IT with Business objectives. Tikona VPN services offer network managers several ways to reduce the overall operational cost of wide area networking as compared to the conventional Point-to-Point links. If I shift my office location, how do I know whether iDeal Internet Leased Line service will be available at the new location and what are the shifting charges? If you are shifting to new office premises, you can call Tikona Care at 18002094276 to find out whether the new location is enabled with the Value Internet Leased Line service. If the service is available, our customer care representative will take down your request and also inform you of the applicable charges for this change. Which documents need to be submitted along with the Subscriber Registration Form (SRF)? At the time of subscribing for the Value Internet Leased Line, in addition to the advance payment as per your subscribed plan, you will need to submit Proof of Address and Proof of Identity documents for your company. Sales and Service Tax Registration Certificate. Additionally, you need to submit Proof of Identity of the contact person in your company along with his/her photograph. Will I get static one or more static IPs with my Value Internet Leased Line plan? You will get only one static IP free with every plan. In case you require additional static IPs, we recommend you opt for a conventional Internet Lease Line. What speed will I get after office hours? With the Value Internet Leased Line, during non-business hours (8.00 p.m. to 8.00 a.m.) you will get the same speed as per the plan that you have subscribed to, with an increased contention ratio of 1:8. What is the speed offered by Value Internet Leased Line for offices? iDeal Internet Leased Line offers speeds ranging from 512 Kbps to 2 Mbps for your office. What is the difference between regular office broadband and Value Internet Leased Line? In comparison with regular office broadband, Value Internet Leased Line offers 1:1 dedicated bandwidth during office hours (8 a.m. to 8 p.m.). This in turn translates into a better internet experience than a regular office broadband plans which typically offers a contention ratio of 1:8. What are the advantages of the Value Internet Leased Line over a conventional Internet Leased Line? A Conventional Internet Leased Line (ILL) service is designed for large enterprises with a global footprint and a 24 hour business operation. Small and Medium enterprises only need internet during business hours and regular internet leased lines can prove to be expensive for them. Our Value Internet Leased Line enables you to pay only for what you use. This service is the right fit for both the speed and budget needs of a growing enterprise, and offers more than 30% savings as compared to conventional internet leased line. The service offers 12 hours of dedicated bandwidth during office hours (8 a.m. to 8 p.m.), thus saving the high bandwidth cost during non-office hours. What are the benefits of the Value Internet Leased Line? Gives 1:1 dedicated bandwidth during office hours (8 a.m. to 8 p.m.). You save more than 30% as compared to conventional internet leased lines. You have access to a 24 X 7 helpline for technical support. Diversity solution for higher uptime. You get one free static IP with every plan. All these factors make our Value Internet Leased Line quick to install and easy to manage. Do you provide symmetric bandwidth? Value Internet Leased Line has an asymmetric bandwidth where the upload speed is 50% of the download speed. In case your requirement is of a symmetric bandwidth, please refer to our Enterprise section for details on a conventional internet leased line. What do you mean by 'Diversity Solution'? Media Diversity: Existing wire line + Wireless Value Internet Leased Line will back each other up. Service Provider Diversity: Service from two separate Internet Service Providers (ISPs) ensures near 100 % uptime of internet in your office. I have a router in my office. Can I use it to connect to the Value Internet Leased Line? For the Value Internet Leased Line, do you provide a router on which the connection will be terminated? No, the company does not provide a router and the connection will be terminated on your router or Layer 3 device. The Layer 3 device should have a spare 10/100 Ethernet port with TCP/IP support on the WAN side for termination of Tikona link. How will the Value Internet Leased Line connection be delivered to my office? Our network reaches your office building wirelessly. To enable the service, a compact Customer Premises Equipment will be installed on your office building roof top. 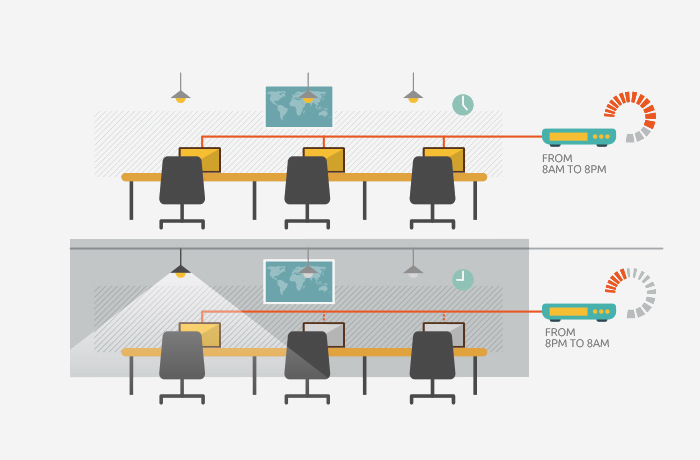 Connectivity from the roof top to your office premises will be on an Ethernet interface. Will I get refund of my plan charges if I apply for discontinuation of service? If you apply for discontinuation before completion of plan period, plan charges collected in advance will be refunded on non-prorated basis after deduction of 5000/- for the installation charges. Additionally, the charges corresponding to the number of days/months of use/data transfer shall be payable/ deducted from the upfront amount received to determine refund, if any. In case your usage is for part of the month, you shall be billed for the full month. Service tax shall be accounted for against both the charges stated above. Refund, if applicable will be processed within 30 working days from date of account termination and fulfillment of disconnection formalities such as realization of outstanding amount and returning of the CPE in working condition. What will happen if I do not pay my bill by the due date? If the advance payment is not made by due date, you will be charged an interest on overdue invoices @ 2% per month or Rs.100, whichever is greater. I have not received the E-Bill / Physical bill. How do I get it? You can view and download your bills for the last 6 months on by logging on to Self Care Portal -> Invoice Summary. Alternatively, you can also call Tikona Care on 18002094276 and make a request for a duplicate bill. How does the Tikona Broadband Service Bill reach me? E-copy: Only e-bill is sent to the registered E-mail ID. Physical copy: The physical bill is sent to the registered billing address. Additionally, an e-bill is sent to the registered E-mail ID. How will I be billed for the Value Internet Leased Line? Tikona Broadband Service bill for the Value Internet Leased Line will be generated in advance for each quarter.